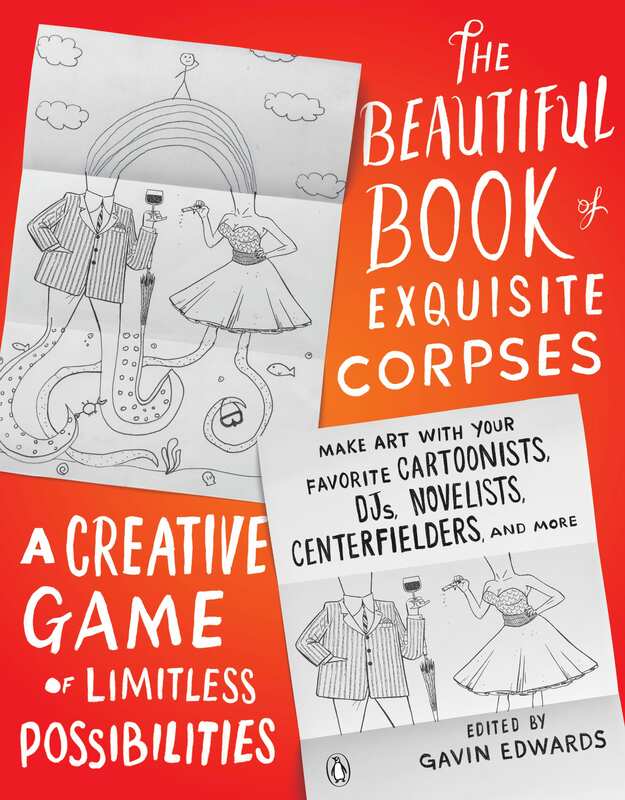 Thinking about getting some early Christmas shopping done? The Holiday Art Market is in full swing! Come by the Ross Gallery and check it out! Monday-Thursday 10am-2pm. 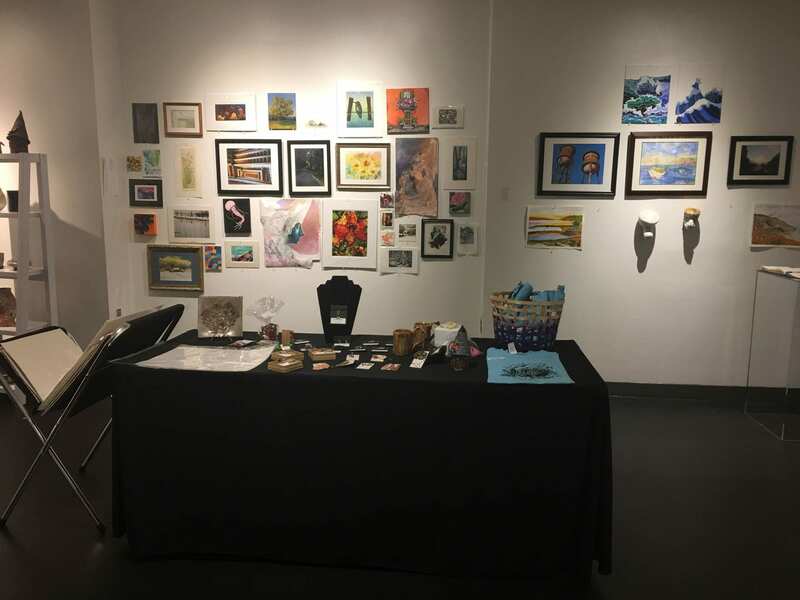 Submit your artwork to be on display during our Holiday Art Market in Ross Gallery, Central Campus. All works must be listed at $50 or less. 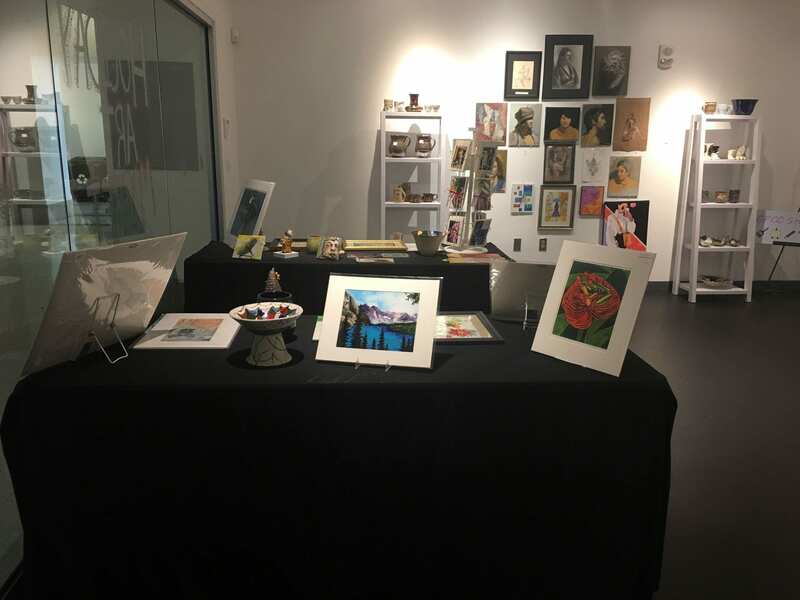 Due date for artwork drop off is Wednesday, November 7, 2018 by 2:00 p.m.
All students are invited to join our Holiday Reception on Thursday, November 8 from 5:00 – 8:00 p.m.
Don’t forget to stop by the Ross Art Gallery between 11-1pm tomorrow (10/31) to pick up an autographed copy of the coloring book “The Beautiful Book of Exquisite Corpses”. The first 200 students will receive it free of charge. 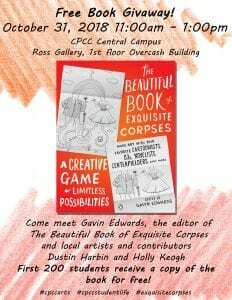 Gavin Edwards, along with some of the artists featured in the book will also be here. See you then! Tomorrow is also the last day for our MakerSpace. A big thanks to everyone who has participated. It has been a lot of fun! Happy Halloween! 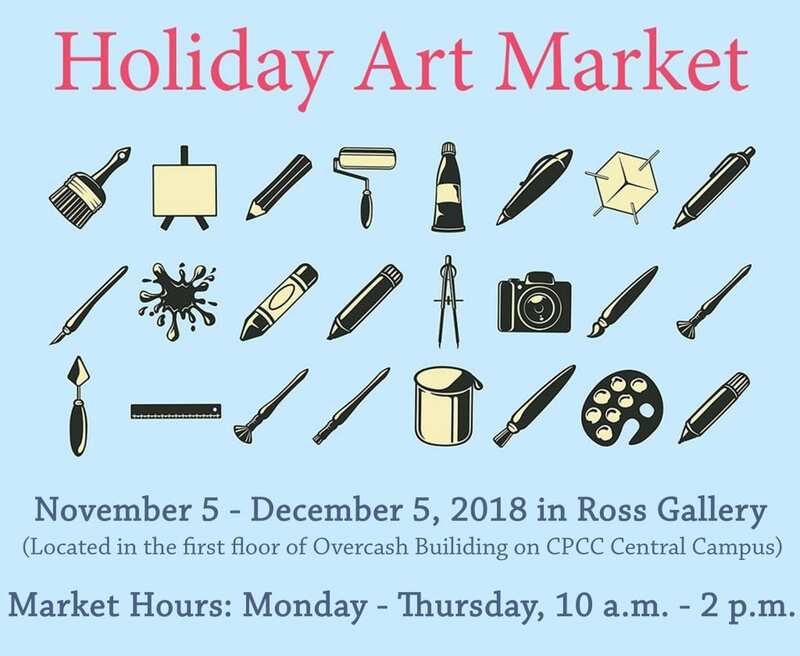 CPCC Art Galleries will be hosting the Annual Holiday Art Market in Ross Gallery on Central Campus November 5th- December 5th, 2018. 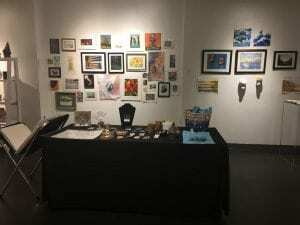 Students, faculty, and some local artists will have works for sale to help you complete your holiday shopping! 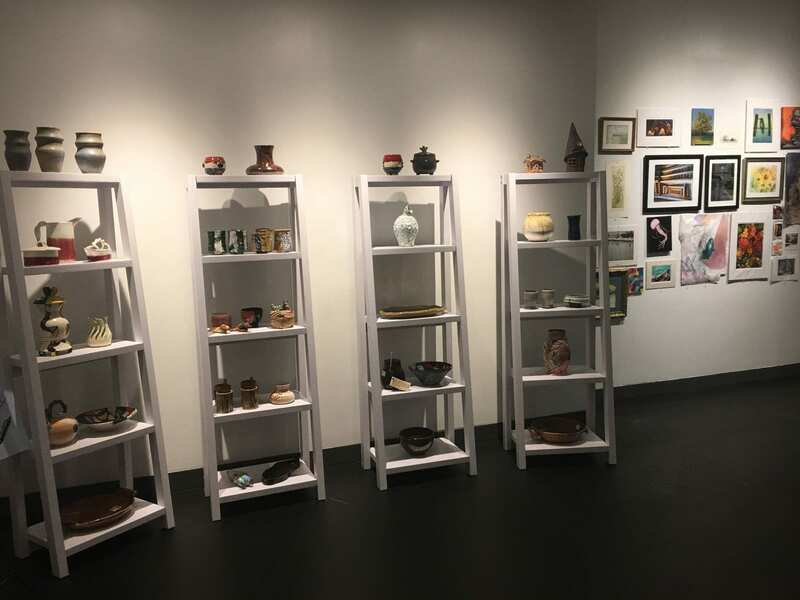 Choose from ceramics, jewelry, paintings, and photography created by members of your Charlotte community. There will be a large selection of gifts priced under $50, so be sure to stop in and discover what is in store! 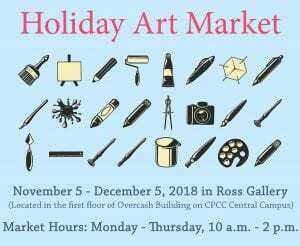 if you are a local (Charlotte Area) artist interested in participating in the Holiday Art Market, email renee.cloud@cpcc.edu for more information. 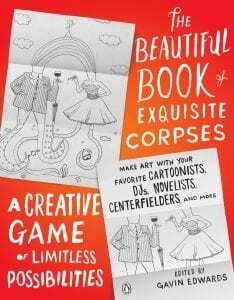 Now is your chance to come explore your creative side! 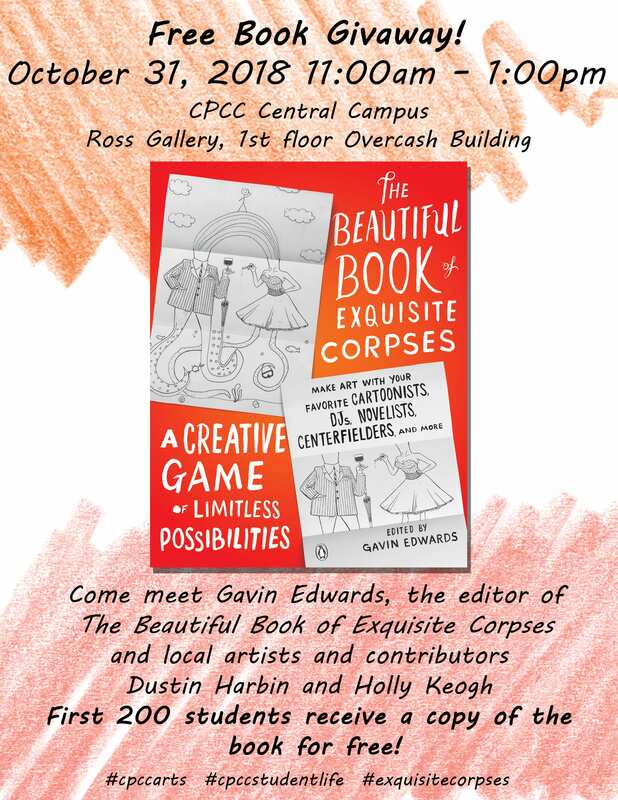 In collaboration with CPCC Student Life, The Ross Gallery in Overcash Building on Central Campus will be transformed into the inaugural MakerSpace. Students are invited to come into the gallery and express some creativity! From collage to origami, we will be offering a variety of artistic and craft based materials for students to experiment with and explore their creative hand. Take a moment to breathe and relax and carve some time out of your busy day and make a craft with us! 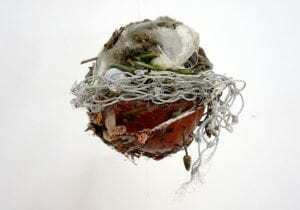 Gallery Hours: Monday – Thursday, 10 a.m. – 2 p.m. Hooray!!! Dates Extended through July 2018!!! Have no fear! Our exhibition dates have been extended thanks to Jerald Melberg Gallery. Please visit the exhibit in Ross Gallery on Central Campus. Monday – Thursday from 10:00 a.m. – 2:00 p.m. from now until July 19, 2018 Additional gallery hours during Halton Summer Theater performances, open one hour before performance.